1) ABA's killboard seems to reflect a large number of solo kills. This is awesome, of course, but what about small gang fleets? Do regular small gangs head out from a central location (staging?) for easy joining? 2) What sort of numbers are available in the EUTZ? USTZ? What's the social experience like (numbers, comms, etc.) for a USTZ weekday pilot? 3) Tell me a little about content creation... does ABA hit money moons to generate revenue (SRP, etc.) and fights? 4) From reading your blog, it sounds like ABA is about doing whatever folks like. What would you say are the benefits provided by the corp to members? Why choose ABA instead of another low-sec alliance? What makes ABA unique? 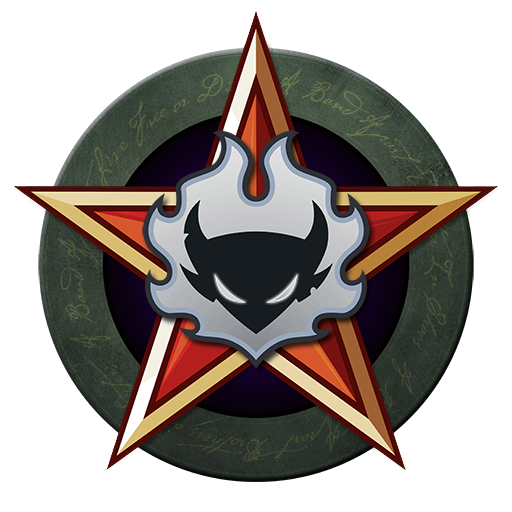 It is important to keep in mind that we are a growing Alliance that is barely over a year old, built on and around the core philosophy that Stay Frosty started with over two years ago. So much of what you'd come to expect from an older and more established Alliance is still in the works. Having said that we do have most of the structure and infra-structure in place, forums, TS, a very active Slack community, etc. 1) We run daily small gang fleets mostly from Ishomilken. Just last night I logged on, joined the fleet and we got five kills (including a good fight at the Sun) within the first ten minutes. In addition to daily fleets we try to run more organized weekly gangs as well. 2) Numbers vary, especially over the Summer, but typically we have 10+ on at anytime of the day in Stay Frosty on average. We have good activity across most TZs tbh. 3) We continue to work on content obviously, as we are always expanding in new directions. The week before AT we took lol Sov and had some fun with that. As for revenue generation I think you'll find pretty much anything happening at some point across the entire Alliance. We encourage cross-pollination of our pilots. 4) Well the above is certainly one huge benefit to being in ABA. Your alts are welcome in our member corps, so it is beneficial to keeping all your efforts under one roof. Most of our pilots take advantage of that and it is the main reason we have corps working in different playstyles. No matter what you like doing you can do it with people you know and trust. I think that makes us unique, I certainly don't know of anyone else that can say that. And these are not "alt" corps, they are each primarily thriving individual corps in their own right. That is highly unusual. I could go on about our culture, the people, and the attitude with which they play the game. We are incredibly fortunate to have so many great players in our Alliance. But of course, I am incredibly biased. Around what time do those daily fleets go out? How receptive are you guys to content generation efforts? if I want to bring some dreads and RF some local money moons, are the guys up for the ensuing fight? We strive to have the standing fleet up all the time, it doesn't always work that way, but that is always the goal. And I'm just speaking for SF there, often other corps will have other fleets up and running as well. And sometimes people are off doing other things in far away places, I mean that is constantly happening. We're quite receptive to content generation. Taking a money moon isn't necessarily something that a lot of us would be interested in but the fight and dying miserably or winning gloriously is something you'll find us quite receptive towards. Please keep in mind though that since our normal play style (from a PVP perspective is concerned) is primarily solo with a dash of small gang that we don't throw around dreads often (if at all) so a fight that might escalate into that MIGHT not interest us much. It also might interest us very much... I think that all depends on what time of day it is when you ask us :P.
What is your mission statement? I mean what is the purpose you are recruiting for? What would New Eden look like if you'd be as strong as PL or Goons? Mission statement? What a great idea. Rixx, my votes for "You're here. I'm here. One of us is going to die." As Malcolm says very well down below, I don't really want ABA to have a specific "Mission Statement". I'd prefer we find our own way. As for what New Eden would look like, I would imagine it would be a much better place to find gud fights for one thing. How cool would that be? 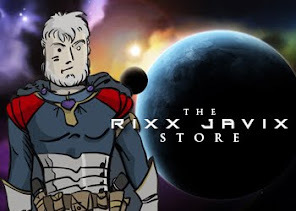 Rixx, I offered to join with my corp. The offer still remains, if you ever change your mind. Most of my guys are in alternate corps cause there is no fun to have in current state. I just need to tell them to come and will have a mix bag of industry, miners and pirates all used to both nullsec and lowsec experience, with a side of WH and Hisec. No, part of it is genuine interest. I have multiple characters, I love small gang. The other part is in giving a buddy an opportunity to clarify some of the questions folks will ask. Glad to hear. Fly Fun! Krull, I haven't forgotten but it did slip my mind. I know that was before the AT and my thoughts were elsewhere at the time. I'd like to see you and Malcolm have a talk about that and see how you can help each other. If that makes sense for the Alliance, then I'd support it. Krull - What is your character name in game so I can add you to contacts? If you are asking for a "Mission Statement" for A Band Apart, then you are missing the concept. What makes ABA so special is the fact that you can find just about anything you want to do all under one roof. In addition to that, you get incredible support from ALL corporations under the umbrella from the moment you join. I'm speaking as a former new player who joined Stay Frosty to learn PvP and now as a returning CEO bringing my own corporation into the fold. "Be formless, shapeless, like water. You put water in a cup, it becomes the cup. You put water into a bottle, it becomes the bottle. You put water into a teapot, it becomes the teapot. Now water can flow or it can crash. Be water, my friend." So to those of you asking for a Mission Statement must first ask yourselves what it is YOU are looking for. What is it you wish to do or become? The best part is, once you have answered that question for yourself I have no doubt you will find your place in A Band Apart and will be welcomed to our ranks. ABA mission statement: Be like water. And bubble gum. Drat, this is lowsec, there is no gum. There might be water though. But I think I got my metaphors mixed up. Anyway, have you heard the word of Bob? But leaving aside leaky metaphors, as a line member here is how I'd answer the questions. Yes, but it depends. Stay Frosty has a fair number of solo pilots but usually has a standing fleet. The killboard reflects a lot of these solo kills. SM and NJED (wormholes) have a good mix of solo and fleet kills. In most corps, anyone can stand up and lead a fleet and/or establish a regular roaming time. These come and go with peoples' schedules. I don't know numbers, and they vary from corp to corp. But we do have alliance-wide forums, TS, and Slack. In particular, there are people in Slack almost 24/7 and we have ping channels when something happens in game. Marq Aideron answered this very fully and correctly from my experience. We have done POCO campaigns in the past. I don't recall us ever doing money moons, but we do have a number of capital capable pilots around, and that sounds to me like something that could be done if the right person stepped up to lead it (see also: doing whatever folks like). I think the biggest advantage of ABA is that it's not actually a low-sec alliance - as Rixx alluded, you can move around to different corps with different focuses and stay with the same people, culture, infrastructure and approach to the game. Currently that includes industry, low-sec, wormhole space, and now nullsec. And while not everyone likes this aspect, we try to keep the trolling and slurs that are so common in Eve to a minimum and deal with each other as adults, but without being exactly G-rated either. In other words, we just follow Wheaton's law.